On March 22, 2019, The First Presidency released a letter announcing a shift in seminary from a school-year calendar to an annual calendar that will align with the Come, Follow Me curriculum. 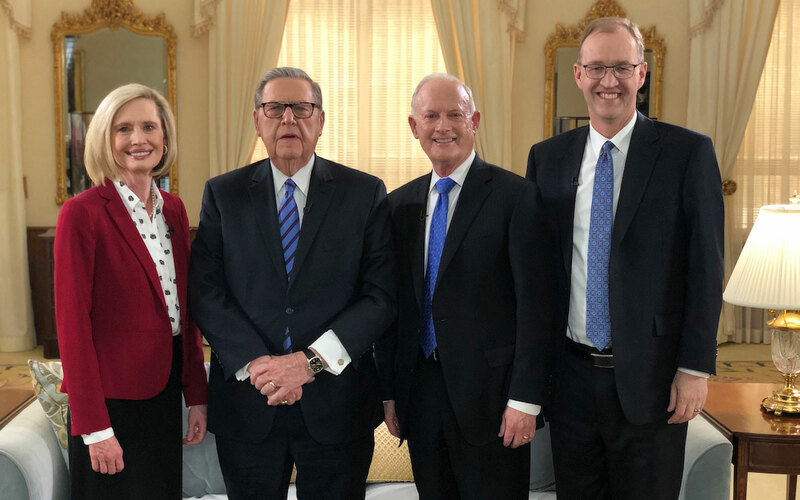 In the video below, Elder Jeffrey R. Holland of the Quorum of the Twelve Apostles; Elder Kim B. Clark, Commissioner of the Church Educational System; Sister Bonnie H. Cordon, General Young Women President; and Chad H Webb, Seminary and Institute of Religion administrator, describe these changes and join in a discussion answering questions about the new announcement. During the panel, they discussed why the change is happening now. As Elder Clark explained in the video, President Nelson’s example inspired them to reevaluate: “We’re going to do it and figure it out.” Sister Cordon further explained that with the aligned curriculum, our students will be able to bring what they learn into the home and strengthen their families. Elder Holland stated that with the home-centered, Church-supported idea, it is expected that members will have something happen in the home and in their lives throughout the week. Elder Holland believes that this will happen for seminary students more than any other members. Sister Cordon showed that the alignment will simplify studying the scriptures for youth through the story of a mother and her daughter. After their family’s Come, Follow Me discussion, the daughter approached her mother concerning what to study. The daughter wanted to participate in Come, Follow Me by reading the New Testament, complete her seminary assigned reading in the Doctrine and Covenants, and work toward her Young Women goal of finishing the Book of Mormon. Sister Cordon stated that by simplifying studying the scriptures for youth, the question “What should I study?” will be answered. Elder Clark explained that by simplifying studying, students will now be able to dive deeper into the doctrine, allow for deep learning to take place, and grow closer to Jesus Christ. Elder Clark later explained that in the new curriculum, the goal will not be to cover an entire lesson but to dive deep into topics to help students learn, apply, and become. With the alignment, there will be many changes, but as we are open to change and learn quickly, the new curriculum and calendar will be effective. There will be calendar adjustments as seminaries adapt school calendars to Church calendars, and teachers may need to take a different approach to teaching. However, students will still begin seminary based on the school year and be required to read the course of study and complete course assessments. Additionally, Chad H Webb explained that the new curriculum will not go back to the topical structure of the past. Rather, the new curriculum will blend topical and sequential teaching in a way to further enhance doctrinal mastery integration and allow for deep learning in the classroom. Elder Holland then shared his testimony about the blessing our students have to hear the Lord’s words every day in seminary.